TEKNOKIA Apps and Games The Most Powerful Tricks Get Free Pokecoins In "Pokémon Go"
The Most Powerful Tricks Get Free Pokecoins In "Pokémon Go"
TEKNOKIA.com - While hunting Pokémon monsters, we need several items. Items, such as the Poke Ball, Revive, and Incense, can only be obtained after the player travel outside of home and visiting the Poke Stop. It is also available at the Poke shop. We can buy them with the money you have in the game called Pokecoin. Pokecoin can be bought with real money and making transactions through Google Play Store for Android or Apple's App Store for iOS. In addition to purchase it with the Play Store account, it turns out that the player can also get it for free. The trick is to master the Gym. The only way to get Pokecoin for free via game play game is to grab and maintain the Gym. The trick is as follows. Visit a Gym, then fight and defeat the guard of the Gym was already ruled. You can also master the Gym when the place was still white aka no guards. After mastering the Gym for 21 hours, players will get the "wages" in the form of Pokecoins. The trick is to visit the Shop and pressing the cash (cash in) shaped like a shield on the top right. The number of Pokecoins obtained is 10 coins plus 500 in each of the monsters that are in the Gym for 21 hours. This means that if you become ruler in the Gym, at least 10 would get 100 Pokecoins and 5,000 Stardust. Anything that can be bought using Pokecoins? 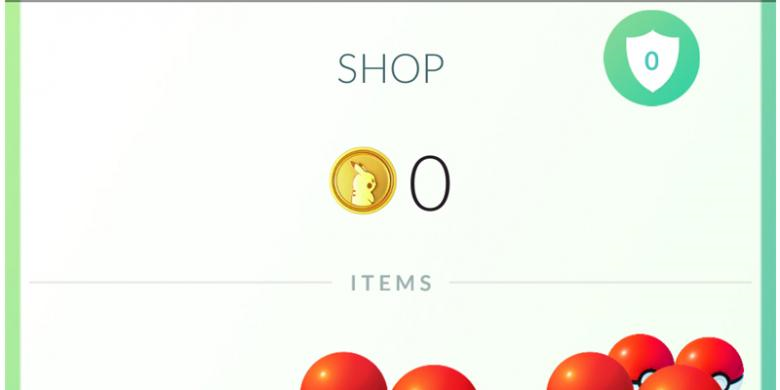 The following list of items that can be bought in the Shop using Pokecoins. One thing to remember, Pokecoin is very difficult and expensive to be obtained. We recommend using Pokecoin wisely.